Sweep the clouds away with this cheerful bouquet. 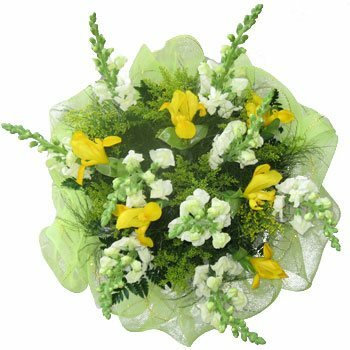 Cheerful wildflowers in vibrant yellow and purest white bloom from a cloud of lush greenery and white ribbons. Ideal for spring weddings, romantic occasions, or to say Get Well Soon, the Sunny Days Bouquet is perfect anytime you want to show you care.